Online information about cancer screening for health professionals has been transitioned to the GOV.UK website. All aboard for a whistle-stop tour! The NHS Cancer Screening Programmes website has now been taken out of service. The site has been archived in its entirety, and can now be found on the national archives. 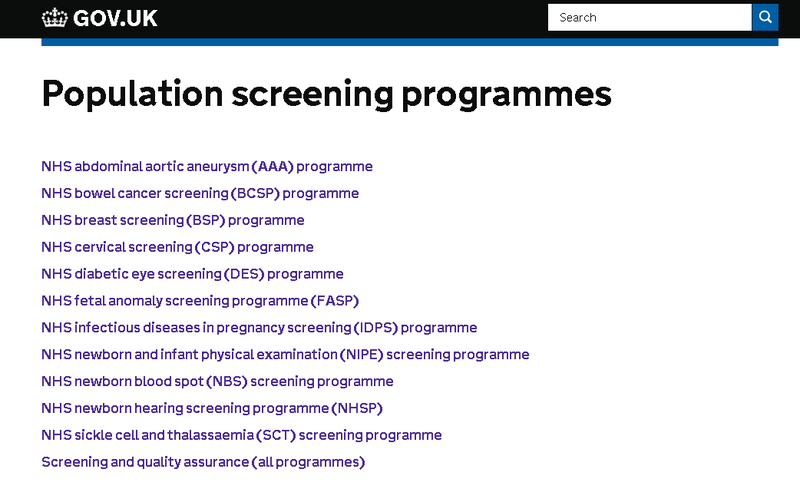 All cancer screening programme content for health professionals now sits on GOV.UK. There is a homepage listing all population screening programmes, from which you can select breast, cervical, or bowel cancer screening. For each programme, documents for professionals are listed under appropriate subheadings so you can search by area of interest. You can also use the website search function to look for specific documents. Any bookmarks you have to the old cancer screening website should now automatically redirect you to GOV.UK. Bear in mind that external links, forms and search functions on the archive site will no longer work. In addition to guidance documents, GOV.UK now hosts the screening information leaflets sent out to the public. Ordering information is included with the list of leaflets under each programme. 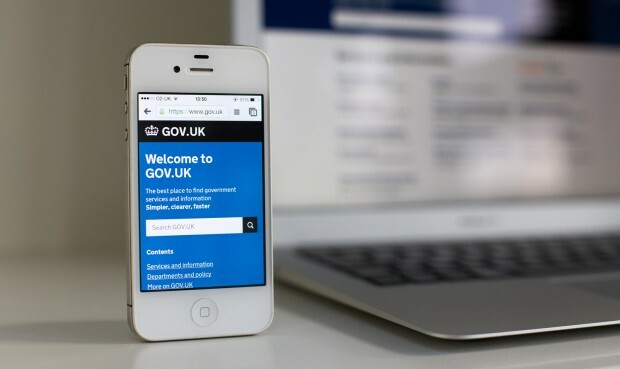 Some content has not been transitioned to GOV.UK, because it is old or no longer relevant. These documents will still be available via the archive site. There are however a few documents that despite being old, may still be of use. Documents like this are listed on the website with an external link so they can be easily accessed from the archive site. Relevant training and education content can now be found at the screening programmes continuing professional development (CPD) website. Use the ‘programme specific’ tab to access content for each programme. The cancer screening intranet sites for the three programmes are still running at present. We are working to establish where content from these sites will sit in the future, and will keep you updated as and when we know more. This transition process not only reflects the government's digital strategy but also the recent integration of the cancer and non-cancer screening programmes. This means that all screening information for professionals is now housed under one roof. Our intention has been to make the cancer screening content on GOV.UK more streamlined and up to date than it was on the old website. The look and feel of GOV.UK is very different to what we had previously, so we appreciate that it will take a little while to get used to. If you do have problems in finding what you need, or spot any issues with the cancer screening content, please contact the screening helpdesk. Please note that the helpdesk is only handling cancer screening queries relating to the website at present. For any other cancer screening queries please continue to use the info@cancerscreening.nhs.uk contact until further notice. All new and updated guidance documents for the cancer screening programmes will be uploaded to the GOV.UK site from this point forward. We will notify you of new publications via this blog, which you can sign up to in order to receive automatic notifications of new posts.